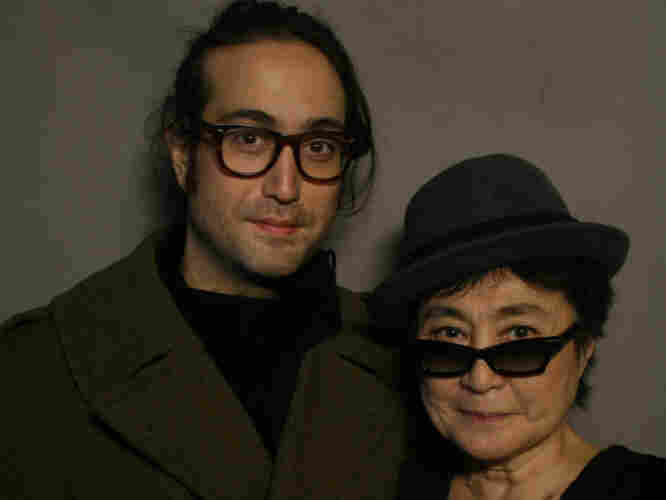 Sean Lennon And Yoko Ono: DNA Memory Lennon recently sat down with his mother, Yoko Ono -- not to talk about John Lennon or The Beatles, but to talk about her life and a strange coincidence involving limo drivers in their past. 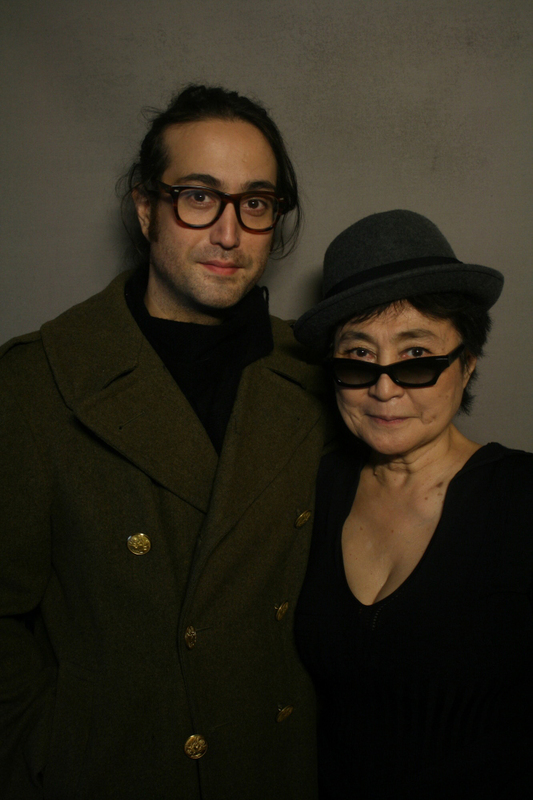 Sean Lennon and Yoko Ono. Sean Lennon recently sat down with his mother, Yoko Ono -- not to talk about John Lennon or The Beatles, but to talk about her life. "I was born from my mother, who is a Yasuda, and my father, who is an Ono," Ono says. But Ono was essentially disowned from the latter family because of "having a very kind of outlandish life," she says. The Ono family was very conservative. "Yeah, well, you know, my father was a banker, but he was an independent spirit," Ono says. "He was a very good pianist and very much into music." But Yoko Ono learned from a piano teacher, because she was born when her father was banking in San Francisco. She says she didn't meet her father until she was 2. "It was big. And the time that I met him, my mother and my father were kissing, and I looked like this, like, 'Well, maybe he's going to kiss me too,' " Ono says with a laugh. "She must have been so lonely," Sean Lennon says. "Well, probably, but, you know, the thing is, my mother was a beautiful, beautiful woman from a very rich family," Ono says. "And my father -- that just upset him, you know?" Ono says a chauffeur would take her father to the bank every morning. He would say, "I don't want to do that, because they're going to see me in the Rolls Royce." "That's so funny," Lennon says. "Because, remember, I would really be upset when you would make me go to school in a limo." "Yeah yeah yeah, I know," Ono says. "So the thing is, he insisted that the car would stop two blocks from the bank." Sean Lennon says that's exactly what he did as a kid. "Do you remember?" Lennon asks. "I would make the -- well, maybe you don't know -- but I used to make the limo driver stop two blocks from my school, so I could walk to school. Because everyone else took the bus, and you wouldn't let me take the bus. Because it was a dangerous time." People were trying to kidnap Sean Lennon. "But it's just funny that I had the exact same experience," Lennon says. "Isn't it amazing? So it's probably kind of like a DNA memory or something," Ono says. "Isn't that interesting?" Produced for Morning Edition by Katie Simon and Michael Garofalo.